Gallery of the 19th-century Polish Art in the Cloth Hall opened in 1884. Its opening was initiated by Polish artists who donated their works to the city of Krakow. In 1879 Polish painter, Henryk Siemiradzki, decided to gift his painting, Nero’s Torches, to the city council. The next day, 39 artists followed Siemiradzki’s example. By the end of the 19th century, Polish intellectuals, artists and activists recognised the need to establish a museum that would collect national memorabilia. Artistic donations helped to establish the National Museum in Krakow, an institution of great importance at the time. The Cloth Hall became the first headquarters of the National Museum. The collection expanded very quickly, as, after the first exhibition opening, more pieces of art were donated. In only two decades, there were about 100 thousand of items in the collection. These were paintings, sculptures, examples of decorative arts, historical objects, etc. gifted to the museum by numerous artists, but also donations of individual collectors. 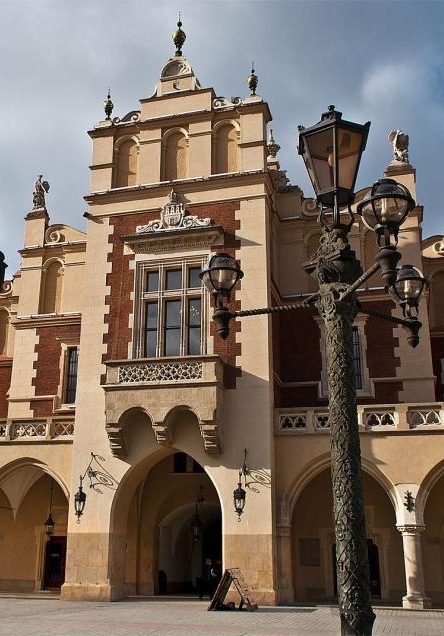 The Cloth Hall could not house such big exposition, so the National Museum in Krakow was to be moved to a new building that would serve as its headquarters. The museum moved permanently to the new premises in 1970, where new permanent exhibitions were created. Gallery in the Cloth Hall continued to display 19th-century Polish art. The Gallery of the 19th-Century Polish Art is a chronological continuation of the Gallery of the Art of Old Poland from the 12th to the 18th Century, housed in the Bishop Erazm Ciolek Palace and is followed by works presented in the Gallery of 20th-Century Polish Art in the Main Building of the National Museum in Krakow. The gallery has been showing the best examples of 19th-century Polish art from the very beginning. Today it is divided into four exhibition halls. Also called the Enlightenment Room is dedicated to the art of the second half of the 18th century. It features late-Baroque, Rococo and Classicist portraits by artists from the circle of king Stanislaw August Poniatowski’s artistic patronage. 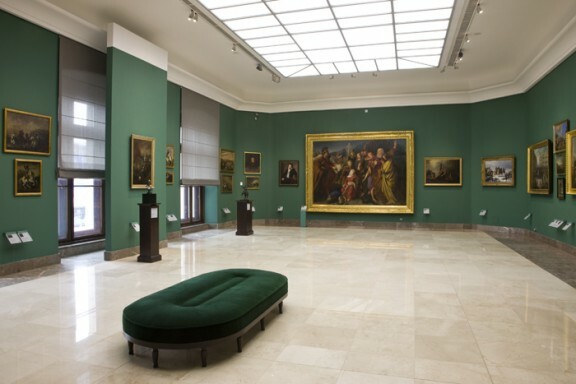 In this room also paintings of historical and battle scenes are displayed. The most notable painter whose works are included in this exhibition is Marcello Bocciarelli. His “Portrait of Stanislaw August Poniatowski in Coronation Robes” is a dominant masterpiece in the Enlightenment Room. This room is primarily dedicated to the Romanticism period. Broadly speaking, the Romanticism period in Poland can be recognised as a 19th-century style of art and literature. This time was marked by the loss of independence, oppressing of Polish people by the occupants and insurrections. 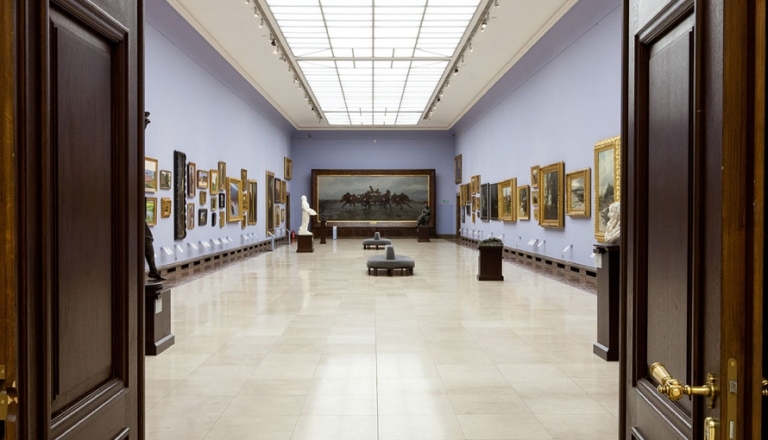 The room houses the largest collection of Piotr Michalowski, one of the greatest Polish artists of the era. Paintings displayed in this room are heavily historical. Romanticism paintings always featured ideology and were of the patriotic character. They were reflecting a need of lifting the national spirit in the troubled times and reminding about Polish past. This exhibition hall owes its name to Henryk Siemiradzki, whose donation of the Nero’s Torches initiated establishing of the museum. The painting is indeed displayed in the room. This exhibition is also called Around the Academy. It features works of art of the most prominent artists working in Krakow at the end of the 19th century and gathered around the Academy of Fine Arts in Krakow. 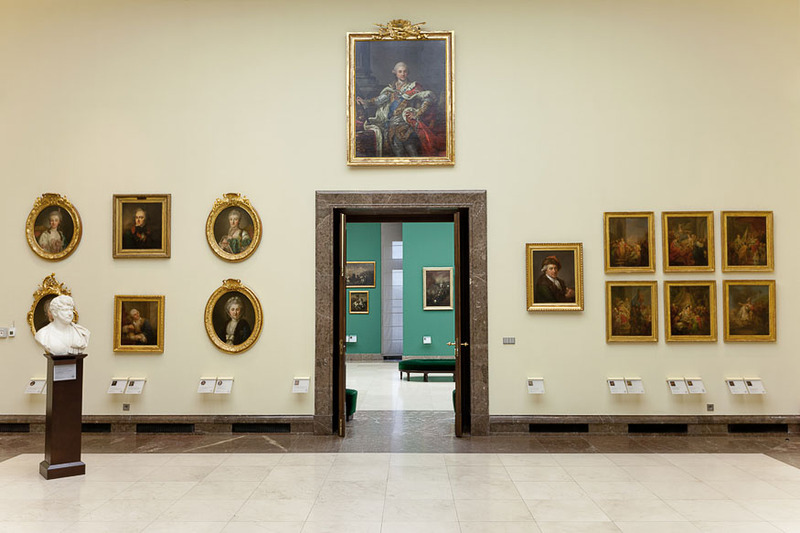 Exhibits include late 19th-century paintings characterised by mythological and biblical scenes, major historical events, independence themes, landscape, and still-life of such artists as Jan Matejko and Jacek Malczewski. Exhibition titled Realism, Polish Impressionism and Symbolism is devoted to new trends in Polish art of the late 19th century and the beginning of the 20th century. Paintings of Realism and Impressionism period are characterised by unconventional ways of depiction that were in contradiction to academic doctrine. These trends were also reflected by new methods of applying paint. Landscapes and genre painting gained on popularity, but the concept of classic beauty was replaced with by the criteria of truth and objectivity. 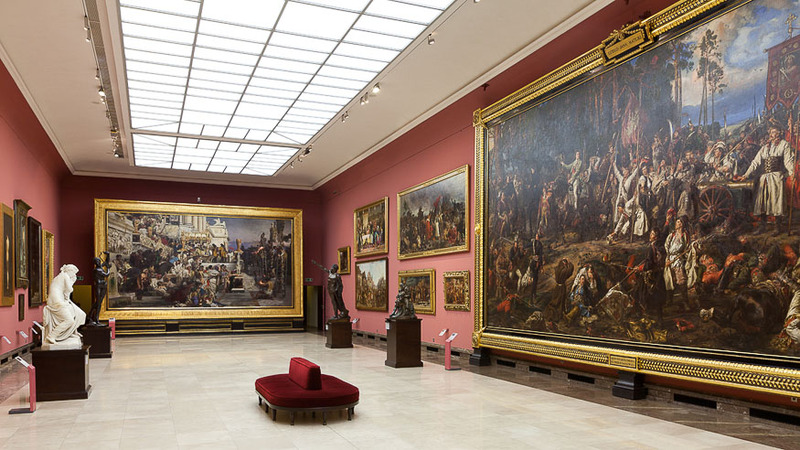 This room presents, above all, works of Jozef Chelmonski. He represented the art of Realism and put an emphasis on patriotic themes. The exhibition includes also examples of so-called “schools” – artistic circles associated with specific city and trends set by its leading artists. The idea of “schools” was very popular at the beginning of the 20th century, a period called in Poland as Young Poland (Mloda Polska). The museum is closed for visitors on: January 1st, January 6th, Easter Sunday, May 1st (Labour Day), Corpus Christi, August 15th, November 1st (All Saints’ Day), December 24th and 25th. Limited opening hours (10 a.m. – 1 p.m.) on: Holy Saturday, Easter Monday, Mat 3rd, December 26th and December 31st. * On November 11th (Polish Independence Day), only the Main Building and the Gallery of 19th-Century Polish Art in the Cloth Hall are open between 10 a.m. and 4 p.m.